Is your organization in need of ways to save on travel? Looking for a partner to actually enforce your travel policy? Well Ulti-Max Travel is the team for you. Not only can we offer exclusive savings through our vendors on Airfare, Hotel & Car. Our current clients are already tapping into the great savings that our consultants can create. The savings your organization will gain from Ulti-Max Travel will range from hundreds to Thousands in no time. 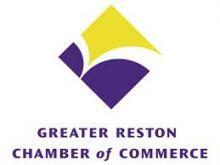 We are happy to announce that we have joined the Greater Reston Chamber of Commerce this year. 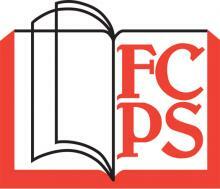 We hope to network our great services, help other businesses as well as provide some community outreach. The Reston Chamber will no doubt help us meet all of our goals. Look for our staff or managing director Felipe Hernandez at events throughout the year. Ulti-Max Travel is proud to announce that we have been providing George Mason University Travel Management Services for over twelve years now. We appreciate the business and look forward to many more years of service. Thank you GMU Faculty and Staff the Ulti-Max Family appreciates your business. Contact us for the latest in cruise specials. Cruising is one of the best way to experience the Caribbean or any other place you want to visit. Our staff has great expertise in the cruise market. So give us a call or email Vacation@ultimaxtravel.com We look forward to planning your next vacation getaway, its never to early to start planning. Read more about Cruise Specials! UNIGLOBE Ultimax travel - powered by Drupal.